Salish Kootenai College (SKC) in Montana contracts with its Tribal Transit system to provide bus service free of charge for all of its students. The college formerly offered a van service for its students, but it became too expensive, so now it partners with the Tribe and its transportation system for a very reasonable fee. The bus travels from northern and southern boundaries of the reservation to the college five days a week, picking up students every morning and returning them to their communities every evening. Having access to reliable transportation without having to worry about inclement weather, having sufficient gas, or having car maintenance issues has provided relief to SKC’s students. In an effort to keep students on campus between classes, Stone Child College (SCC) in Montana provides healthy snacks at the Art Raining Bird Learning Center. While there, students can also secure a tutor and use one of the ten computers available. The college is in the process of setting up a food pantry and a clothing bank in the basement of the Learning Center—both of which will be stocked by donations from the staff and community. The college also starts each week with an information sharing lunch for students, faculty, and staff called Monday Drum. The event is held in the foyer of the main academic building and begins with announcements of things like upcoming campus events and scholarship opportunities. A student then shares a Native song, and those who are gathered share a meal that has been sponsored and prepared by an ad-hoc committee or department. Even though Saginaw Chippewa Tribal College (SCTC) in Michigan is located in a semi-urban area and most students live within a 15-mile radius, they face similar challenges as other tribal college students across the country. For some, one of those challenges is food insecurity. SCTC does not have a formal food service program or kitchen, yet staff members prepare food for students by using hot plates, crock pots, and electric frying pans. They also bring in lunches like soup, sandwiches, and Indian tacos. Additionally, some faculty who teach evening classes provide food for students who have left work and come directly to class. Students who are able also bring in food for their classes. Moreover, the college has nonperishable nutritious snacks on hand for students. With this concerted effort, on most days students have some type of sustenance offered. The college is hopeful that this attempt to meet a basic need of their students will impact their academic success. 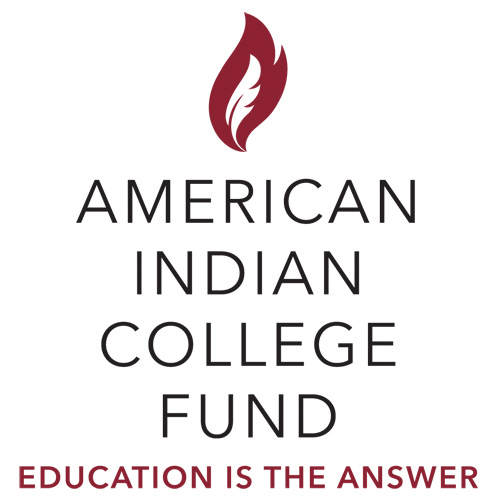 Through the American Indian College Fund’s Native Pathways to College Program, Native students and families receive assistance creating and navigating a path to college. Once students are in college, the program gives them training and tools to earn an associate degree and then to choose a four-year institution where they can earn a bachelor’s degree. Under the High School Admissions Pathway, students receive one-on-one coaching and participate in workshops to prepare them for college. They also receive opportunities to visit campuses, participate in college fairs, and get valuable information about tuition, financial aid, and the admissions process. Tribal college students graduating with an associate degree are also eligible to participate in the Tribal College Transfer Pathway. Students attend personal coaching sessions and receive assistance in applying to higher education institutions with competitive admissions requirements. They receive valuable information about how to choose an institution that provides Native students with additional scholarships, tuition-waivers, and in-state tuition. They also learn which schools offer a comfortable and welcoming environment for Native students, which is essential to their academic and emotional well-being.